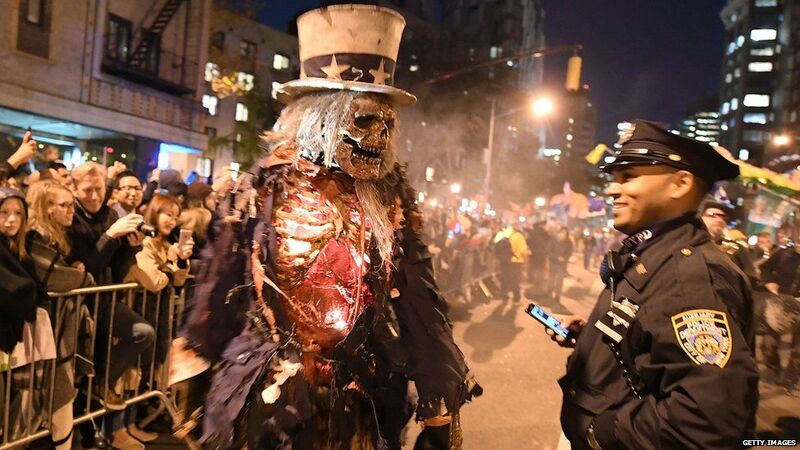 New Yorkers went ahead with their Halloween parade on Tuesday night, despite the truck attack on the city that left 8 dead and more than 12 injured. The reason being was that many people were determined to show their solidarity with the victims. While the parade was confirmed to go ahead as normal, increased security was ever present. 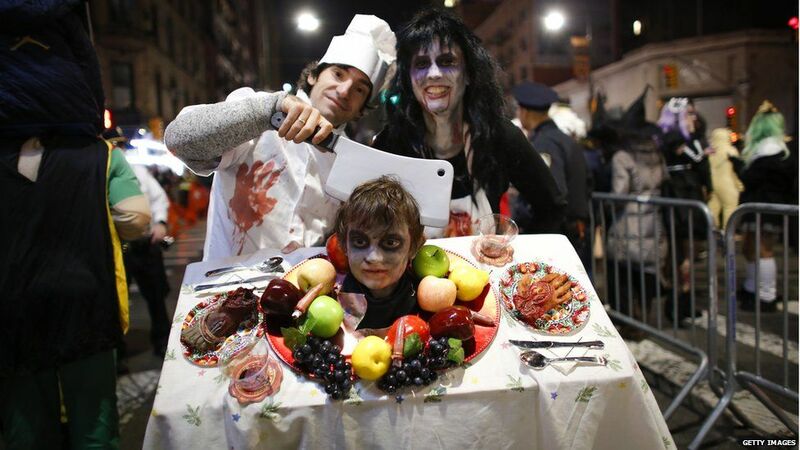 Thousands of people, many in costume, took to the streets for the city’s annual Halloween parade. Despite the horrific event, they stood strong and refused to allow their annual event stop. The event is now 44 years old, and is one of America’s largest street festivals, which includes 53 marching bands, dancers and artists. Definitely something to put on your bucket list if you love Halloween. People were dressed in a wide variety of costumes, including superheroes, evil scientists, zombies and so on. Many also took to social media to post about coming together in defiance and solidarity. That’s certainly the spirit despite the fact that Chuck Schumer’s Diversity Visa Lottery program let in the Uzbekistan ISIS terrorist, gave him a Green Card, and let him bring in 23 family members to the United States of America, all without any vetting or background checks. Really makes you wonder, doesn’t it? Perhaps, they should seek merit on immigration of individuals instead. This event came just after the horrific truck attack, considered one of the most deadliest terrorist attack’s in New York since 11th September, 2001. The attack was carried out by Sayfullo Saipov who was “inspired” by the Islamic State, according to notes in Arabic. Saipov drove the truck at extremely high speed, targeting bike riders and pedestrians, before colliding with a school bus of special needs children and then emerging with two weapons, yelling “Allahu Akbar”. 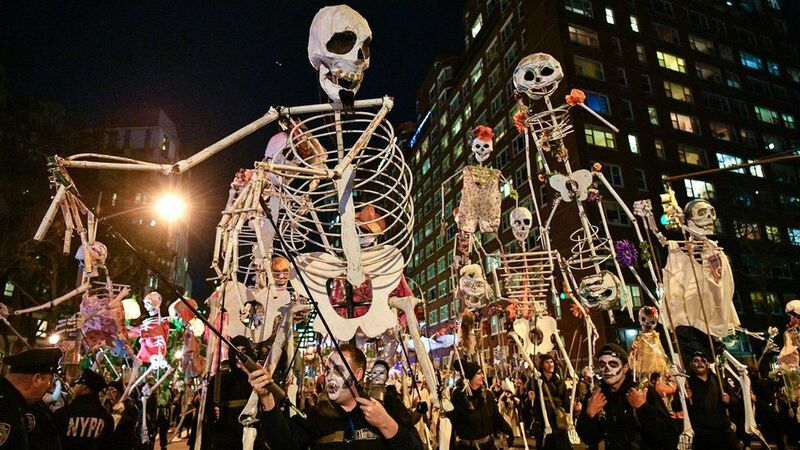 Despite this horrific attack, New York refused to let this event defeat them, and so they carried on with their beloved Halloween parade like they always do. Our thoughts and prayers are with all the victims that lost their lives, and to the families and their loved ones too, however, one definitely wonders about the liberal agenda of sanctuary cities, and those that are calling for open borders in these troubling times of Islamic terrorism in the West. Perhaps it is time for increased vetting and scrutiny on travel and immigration from certain countries. President Donald J. Trump has also called for the death penalty for Sayfullo Saipov, which seems just, given the circumstances.